Costa Rica sees a large increase in the flow of illegal steroids and other performance enhancing drugs. The black market handles more than 240 billion dollars in sales of supplements or substances through internet for doping according to the Regional Anti-Doping Organization. The fight against doping in recent years has spread rapidly and black market for these banned substances has come to reach the same levels of illicit drug rings, with even higher profits. The doping drug business has smaller penalties, lower risk and much higher profit making it attractive. Interpol has expressed concerned that in the past three years, the money generated by this business becomes money to buy weapons and terrorism. 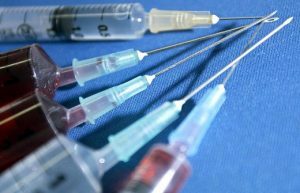 The World Anti-Doping Association has developed agreements with Interpol, the pharmaceutical industry and the World Customs Organization to help manage this growing problem. Many of the people who are now engaged in trafficking in doping substances are simple people who cross borders and begin to sell them like any other product to athletes, especially where activities or sports tournaments. Both MarÃ­a JosÃ© and Carlos Hermes, although they claim that only their competence the sports area, they will not get tired of fighting together with government agencies to find these people and find those reds of doping that have developed in the world. Dr. Carlos Hermes said the case of the Chilean Christian bodybuilder Lobarede Anguita former champion of Argentina, who was arrested for production and trafficking of drugs. At Anguita's home they found anabolic psychotropic addition to 6000 doses of sibutramine, ephedrine and a dangerous triacana called anorexic. According to authorities unveiled entered substances smuggled from Argentina and sold them to other athletes. According to the Regional Anti-Doping Organization the Central American doping network gets two points, from Mexico and entering Guatemala and south, from Colombia to enter Panama and Costa Rica. With the Central American Games in San Jose 2013, the Regional Anti-Doping Organization aims to educate athletes of Costa Rica and other delegations on this subject and its legal ramification.